Kulapkhao Na Nontachai boasted with confidence that “This time , Phetchiangyean Chitmuengnon muay thai camp is in the way of diligence , so from my viewing it shows that on this Saturday that he will face with Phanphayak , he might become the winner for sure. Besides, they will fight as the master couple boxer of Suek Muai Dee Withee Thai on this Saturday of 16th November 2013 at Imperial Ladprao muay thai stadium. This entry was posted in Uncategorized and tagged camp, muay thai, Phanphayak, Phetchiangyean, thailand, training on 2013/11/26 by muay thai fighter. “Tui” challenged to prove 2 couple boxers competing in channel 7 muay thai stadium. The Surgeant Tui Sangmorakot would like the Thai muay thai fans of channel 7 who still wonder in the results of 2 couple boxers in last 2 matches watch these 2 couple boxers to fight again in Suek Sangmorakot on this 19th November 2013 including with Chomhoad and Phenthai which all of them are the severe couple boxers whether who will become the winner. The Surgeant Tui Sangmorakot revealed to the reporters of Muai Siam after bringing these 2 couple boxers that the muay thai fans in Thailand are wondering to fight again between Chainoi Worawut who just tied to Deawphayak Sakphlaiphaya that fought on last 20th October 2013 and Worawut Emyuden who just overcome Nantawat Ch. Rungrote on last 6th October 2013 at channel 7 muay thai stadium. Then, these 2 couple boxer will fight again on Suek Sangmorakot on this 19th November 2013 at Lumphinee muay thai stadium after the muay thai fans of channel 7 still wonder in the results of them. Then, it will include with Chomhoad and Phenthai to fight with each other whether who will be the winner. 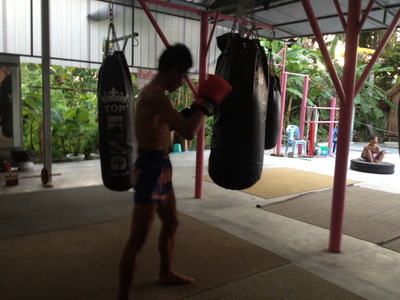 This entry was posted in Uncategorized and tagged camp, Lumphinee, muay thai, Sangmorakot, thailand, training on 2013/11/20 by muay thai fighter. This entry was posted in Uncategorized and tagged Ploywittaya, Rodsurad muay thai camp, T.Pran 49 camp, WigAir on 2013/11/17 by muay thai fighter. Support for “Rungkit Kertnadee muay thai camp “. “Huasing” or T. Phatak S. Chunlasane or Sinbee Muai Thai has predicted about the fortune of Rungkit Kertnadee muay thai camp or the million juveniles boxer of Suek Atsawidam ; moreover, in the future , he might turn to be the master couple boxer because of his excellence in Thai boxer and his IQ. In addition, he has been caught the eyes on since he was a child until he has his strength and confidence to become the million juveniles boxer of channel 9 in the future. Therefore, Rungkit had fought with Liamphet S. Phanthip muay thai training camp with funniness prior to win the score of him for Suek Atsawindam on channel 9 of Thailand broadcasted from Imperial Ladprao on last Sunday of 27th October 2013. Thus, now Huasing T. Phatak Cinby Muai Thai or the former Thai boxer has the famous name for opening the foreign boxing camp at Phuket or the hometown of Rungkit. Moreover, it is believed that in the future Rungkit may be the number 1 of the million juveniles boxer for sure. 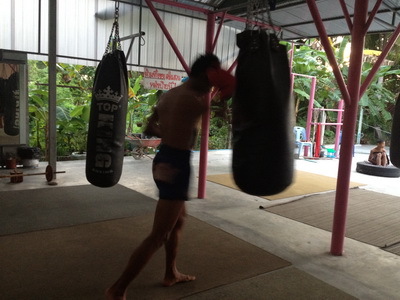 This entry was posted in Uncategorized and tagged Atsawidam, camp, muay thai, Rungkit, thailand, training on 2013/11/12 by muay thai fighter. “Sawake” had made the list of the fresh couple boxer from good muay thai camps . The muay thai fans in Thailand is favored after Mike Sit Chaesairung or the famous star of channel 9 will face with Phrasertsak S. Prasobchok muay thai camp as the both fresh boxers ; the commander Sawake Phinsinchai might make the list of this couple boxer as the master couple boxer to fight on this 27th October 2013. Besides, Mike Sitchaesairung or the fresh boxer has grasped the champion for several matches , especially for the last year. Then, he never lose to anyone with his tall and good strategies with stable mind in order to create the good form until becoming to be the new star of channel 9. Lately, he will face with the good boxer from Rachadamnern Thai boxing stadium or Phrasertsak S. Phrasobchoke muay thai camp or the strong knee boxer under the supporting of Otea Charumeung or the promoter Phrawit Kongthongsamut as the master couple boxer of Suek Atsawindam on channel 9 on this Sunday of 13rd October 2013. Thus, the muay thai fans all praise that this couple boxer is the perfect match because they are from the famous muay thai camps . 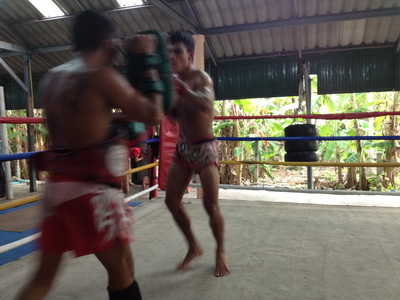 This entry was posted in Uncategorized and tagged camp, muay thai, Rachadamnern, Sawake, thailand, training on 2013/11/05 by muay thai fighter.